The editor content option is only available in Blox, and therefore you will not find it in Blox Lite. This content type allows you to add content via the builtin WordPress editor. So basically anything that you could normally add to a page or post via the editor, you can add to a block using this option. Due to the technical requirements of the WordPress editor, the editor content option works slightly different on local and global blocks. It is available for both, but the implementation different. 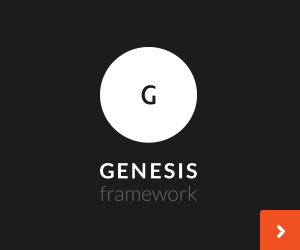 We will begin with the implementation on global blocks because it is extremely straightforwards. As you can see in the screenshot below, the fully functional editor is displayed on the page as you would expect. Simply enter your content and save. Now you might assume that implementing content via the WordPress editor would be just as straightforwards on local blocks. Unfortunately it is not, but we have made it as easy and intuitive as possible. When you are adding local content blocks, you can add as many as you like to the page. The method by which these blocks are added in the admin is called ajax. As it so happens, the WordPress editor does not appreciate being added via ajax and therefore it is not easy to display the editor directly within each admin block. If you look at the screenshot below, instead of seeing the editor, you are prompted to Add Content or Show HTML. Clicking on the Add Content button brings up a popup with the WordPress editor. From here you can add content as you wish, and when finished, select Apply Content. The exact HTML that the WordPress editor generates is then placed in a textbox within the admin content block. This is depicted in the screenshot below. You will also notice that the Show HTML button in the previous screenshot is replace with a Hide HTML button. Now if you want to add or edit the content, you can either edit the raw HTML within the HTML viewer, or you can simply click Add Content and the editor popup will reappear with all your previously entered content. Also note that any content you add directly to the HTML viewer will also appear in the editor popup.